Astronauts, fisherman, chefs, farmers.... Kids take on a lot of roles in their everyday make-believe play! 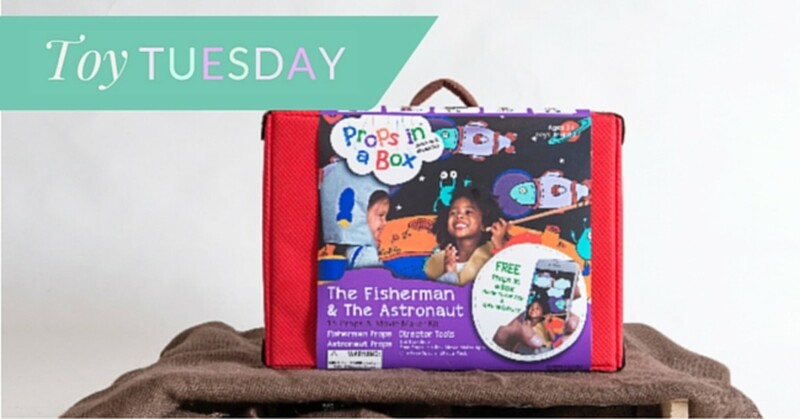 Props in a Box gives kids everything they need to star in their next big breakout role! Catch them in action--and capture the fun on camera. Each Props in a Box set is an all-ine-one movie-making kit. comes with a backdrop (&apos;cause who needs a fancy-schmancy green screen?! ), and 10 felt costume pieces and props. Better yet, it also comes with a free Props in a Box Movie Maker app where you can title and cast your movie, add music, and hand-drawn special effects, that can easily be shared on social media. We&apos;ve been playing with the Fisherman & Astronaut Props in a Box set, and it&apos;s been, well, out of this world! Watch our full review now!